There are three ways to routinely check your blood pressure. Use an automated electronic device. Checking your own blood pressure is a matter of purchasing and learning how to properly use an automated electronic device. Watch this video to learn how. Have a pharmacist or health care provider check you pressure. 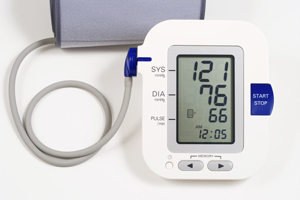 Many pharmacies offer free blood pressure checks. Please check with your local pharmacy for availability. Use a blood pressure kiosk. Blood pressure kiosks can be found at pharmacies, grocery stores and other places of business. They are an easy, convenient way to check your blood pressure. However, it is important that the cuff be the proper size for your arm in order to get an accurate reading.